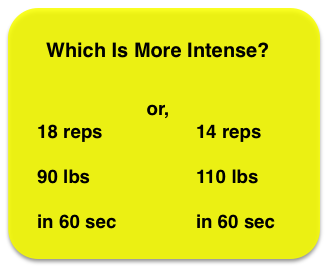 The fact is the first example is better by about 5% in terms of both momentary intensity and sustained intensity. This is something you can’t just “feel.” To know these facts you have to measure things. When you measure you can become a new man. Previous Post How High Is Up? 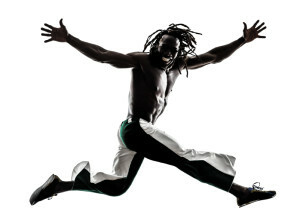 Next Post Want To Try Static Contraction? How much do you generally reccomend or observe people increase their weights after they are on SCT or PCT for about 4-5 months? DO you say 5-10lbs more to the bar or more like 5-10 % more even at that stage. Because 5% of 100 lbs is a lot less weight than telling someone 5% of 500 lbs once you get to thats strength level you know. Depends on the person but I’m noticing sometimes I can do big jumps and then sometimes only about 5 -10 lbs and sometimes just an extra rep. When theres no increase then we know we need to increase rest days. What do you say Pete on this? The studies we are doing now might help us get closer to some rules of thumb to guide people. 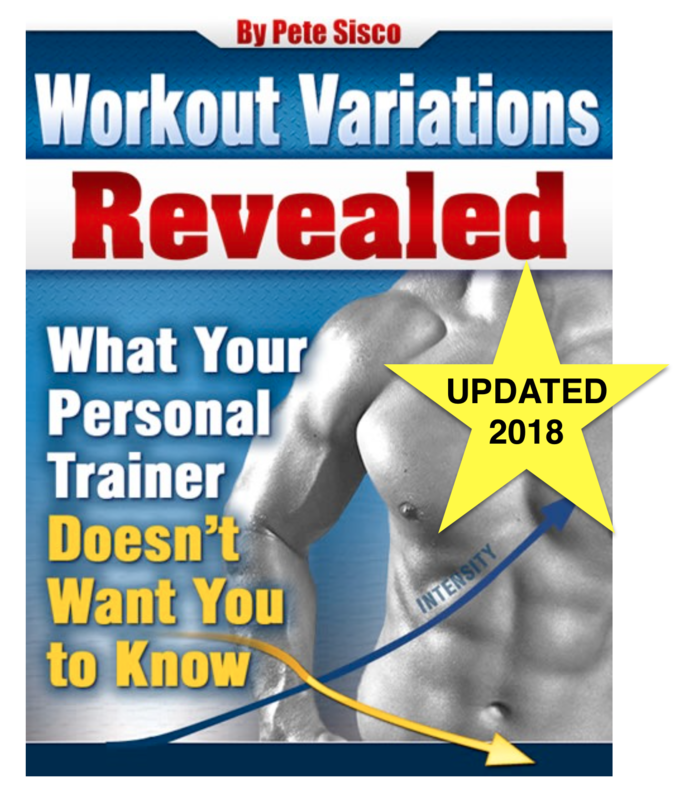 The problem is there is so much variation between individuals it is not possible to tell people, “Add 6.8% more weight on your 5th workout.” In this business we are always working with approximations and doing the best we can. This is an issue that never goes away. Suppose you are doing a timed set of 60 seconds; ideally you need to select a weight that is exactly heavy enough to completely fatigue you in 59.9 seconds. So what weight is that exactly? How can we know? And how can we know next time when the weight should be different because we are stronger? This is why keeping track of exact numbers is so important. Most people just guess at every exercise and have no clear picture of their output put unit of time. You have to remember these guys NEVER take objective measurements of their output per unit of time. So they shoot from the hip and make generalizations. I had a guy tell me today that “a friend” trains every week and makes constant progress for years. Uh huh. If you make 2% progress on 100 workouts in two years it means you can lift 7 times more weight per second. So his 200lb bench press is now 1,400 lbs? Maybe his squat is 3,000 or so by now? When people never take meaningful measurements they can delude themselves no end. Nobody has a productive workout every week for two years. You can visit the gym 365 times in a year but you can’t have 365 productive workouts. That’s what happens when trainers work with a few people and then make generalizations. Measurements cut through the BS. Every individual can take his own measurements of his own workout performance and learn what rest interval he needs. That interval will change. When you lift 10 tons in one workout you need less recovery time than when you lift 100 tons in one workout. That’s easy to understand – but try telling it to most trainers. Too true. But to say people lose strength and muscle resting a month is crazy stupid. Muscle doesn’t disappear in a month or even two months without working it even for a beginner using full range HIT using progressive overload… One of the typical bodybuilding myths/ assumptions that proves wrong when you actually do take long rests and see muscles continue to grow even if it’s over a month . I agree that no two workouts are the same, and if you want to see changes, you must exhibit change. The two you mentioned are great ways to see gains or muscles changes. High intensity or additional weight are great ways to shock the body with something new, and with these changes, new developments will happen. Thanks for sharing! Yes, but not change for change’s sake. Beware of the gym lore about ‘shocking’ your biceps by switching from dumbbell curls to barbell curls. Change only stimulates new muscle growth if there is a mathematically provable increase in the intensity of lifting – measured in weight per second. and will make you as strong as max-lifting? You say you get easily injured with max holds and that would be a good reason to find other tactics. That’s what you should do. But for people who do not get injured by lifting their maximum in their strongest, safest range I would still recommend maximum weight static holds. 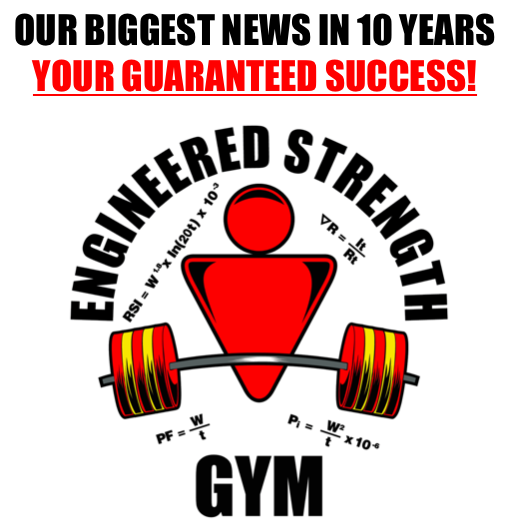 I first heard about power factor science,through a tony Robbins study course.Honestly I thought these two guys were gonna make themselves look like a couple clowns.It was Pete Sisco and the other guy.After all how could a hundred 100,000 big bodybuilders be wrong right. Well I had to give it a try so I could tell everyone I know, their science was a bunch of baloney.After putting on more weight than I am accustomed to lifting,I lifted it and held it for about 11 seconds or so 3″ from full extension for chest bench press.I put the bar and back on the hooks and BAM!!! BABY!! !,my pecs were instantly bigger than any reps or weight I had been doing for the past 20 years or so.I consider myself a ninja practitioner and realist when it comes to this kind of science. I only do what works in my training.If anyone thinks this power factor science doesn’t work.Well they can keep watching everyone else get big I guess.This science takes the internal organs into consideration, as well as chi or real strength as opposed to show muscle so popular and prevelant amongst this generation.I tell you this much.If I ever need real strength I will have it and my organs will be healthy as well.Thank you power factor for your cutting edge hypertrophy science. I like the feeling of a workout with brief, intense contractions. I avoid over stretching ranges. I don’t personally go for the feeling of be I drained, or feeling like I’m puke. I like leaving a workout feeling refreshed and energetic. Kinda made me think about my approach after reading your comments. I can’t afford local gym, and I’m limited on space. I know Pete has said something about not using resistance bands, but it’s all I have. I take the movement to a predestined location (strongest range) and hold for 30 seconds, or until fail. I found that if I can’t get to to 30 I keep it up until 30 is attained. Example: initial max 15 sec. immediately into another set, say 10 seconds, immediately into another set, say 5 seconds. At this point I have reached 30. After rest, usually 2 weeks, I use same resistance and try and beat my initial 15 sec. Usually, I hit 30 sec. immediately. It is contrary to popular belief, but the numbers don’t lie. Thanks, Pete! I am the fittest, most muscular ever in my life. I do statics every 2 weeks. 45 min’s. or 90 min’s a month. Gym rats hate me….I am nearly 50…have the physique of a 25 year old. Don’t hate me…love me!